City of Delaware offices will be closed Monday, Sept. 4 for Labor Day. Residential refuse, recycling and yard waste crews will be utilizing the next day collection schedule during the week. This means household collections will be made the day following the normal collection day, Tuesday through Saturday. All commercial and residential accounts utilizing dumpsters for collections will remain on the normal weekly collection schedule. Questions concerning the collection schedule may be directed to the Customer Service Request Line at 740-203-1810. The Sunbury Lions Club’s annual ox roast and flea market returns on Labor Day, Monday, Sept. 4. The event will be open from 7 a.m. to 4 p.m. in Sunbury Square. For information, visit sunburylionsclubofohio.org or call 740-965-3630. Twenty-four local restaurants are participating in the 2017 edition of A Taste of Powell. The event is scheduled for 5:30 p.m. on Thursday, Sept. 7 at the Columbus Zoo and Aquarium Water’s Edge Park, 4850 W. Powell Road, Powell. Tickets cost $35 per person if purchased before Aug. 30. Admission is $40 at the door. For information or to purchase tickets, visit www.tasteofpowell.com. The Ohio Fallen Heroes Memorial is hosting its annual ceremony on Saturday, Sept. 9 to honor deceased veterans and Gold Star families. The annual Gold Star Family Reception is scheduled for 2:30 p.m. at the memorial, located on West Cherry Street in Sunbury. Registration for the reception begins at 1:45 p.m. The memorial ceremony begins at 4 p.m. For information, visit www.ohiofallenheroes.org. The 11th annual Community Unity Festival is scheduled for Saturday, Sept. 9. The event will be open from 10 a.m. to 6 p.m. at Ross Street Park and Pavilion, 50A Ross St., Delaware. The festival is sponsored by Second Ward Community Initiative. Entertainment will be provided by the Dean Simms Band. Admission is free. For information, visit swcidelaware.org. Ashley United Methodist Church will celebrate homecoming on Sunday, Sept. 10. All current and former members are invited to attend the service at 9 a.m. The church is located at 214 E. High St. in Ashley. 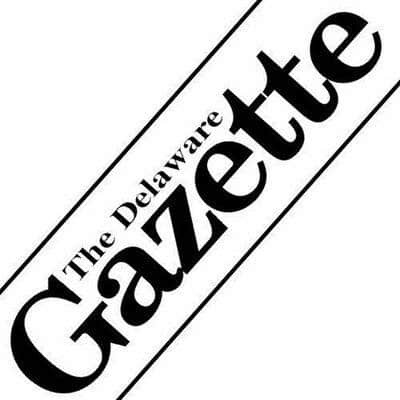 The Delaware County Engineer will be closing two for a reconstruction project beginning in September. Big Walnut Road between Jeffries Court and Grandmere Boulevard as well as Worthington Road between St. George Avenue and Alpine Drive will be closed for the prject that begins Tuesday, Sept. 5 and is scheduled to open on Friday, Nov. 10. For information visit, www.co.delaware.oh.us/engineer/projects/worthingtonbigwalnut.htm. Or call 740-833-2400. The Delaware County Engineer will be closing Clark Road between Todd Street Road and Morrow County Line for a culvert replacement project. The road will close Tuesday, Sept. 5 and is scheduled to open Thursday, Sept. 7. For information about road construction in Delaware County, visit www.delawarecountyengineer.org.